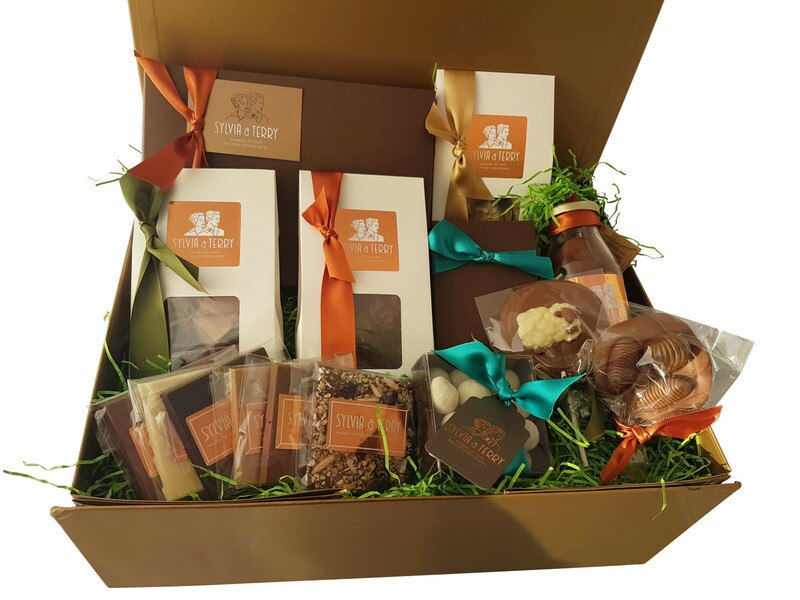 Luxurious hampers , the perfect gift to share! 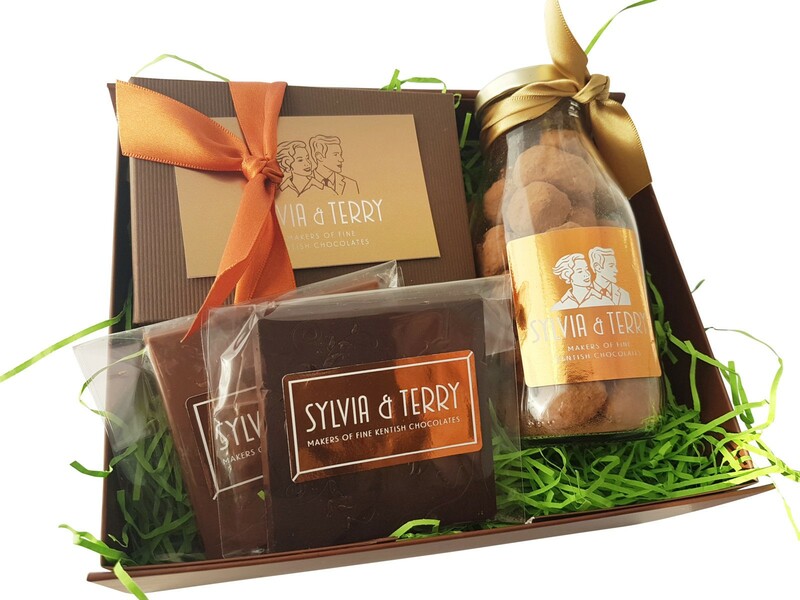 A luxury magnectic close hamper box filled with Vegan friendly goodies including our best selling handmade dark chocolate smothered honeycomb, Orange Confit Giftbox, Fresh Mint infused dark chocolate tablet, Almond Inspiration Tablet and Strawberry Inspiration Tablet. Perfect for caramel lovers! Includes 35% Caramelia Tablet, Blonde Dulcey Tablet, Milk Chocolate Salted Caramel bar, Kitchen Sink bar, Honeycomb Bullion bar. 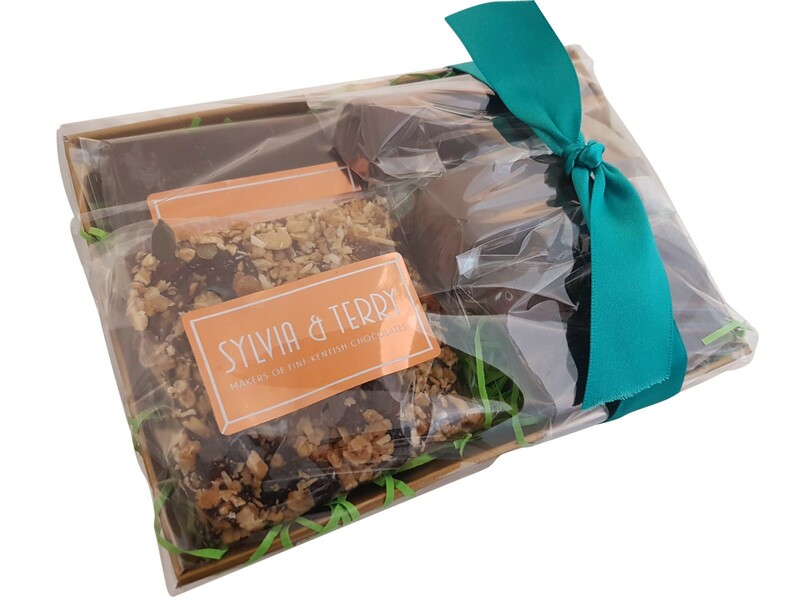 A selection of our finest nutty treats including , Caramelised Cobnut Tablet, Candied Almond Tablet, Triathlon Bar, Cobnut Fudge Bar, Hazelnut & feuilletine bar. 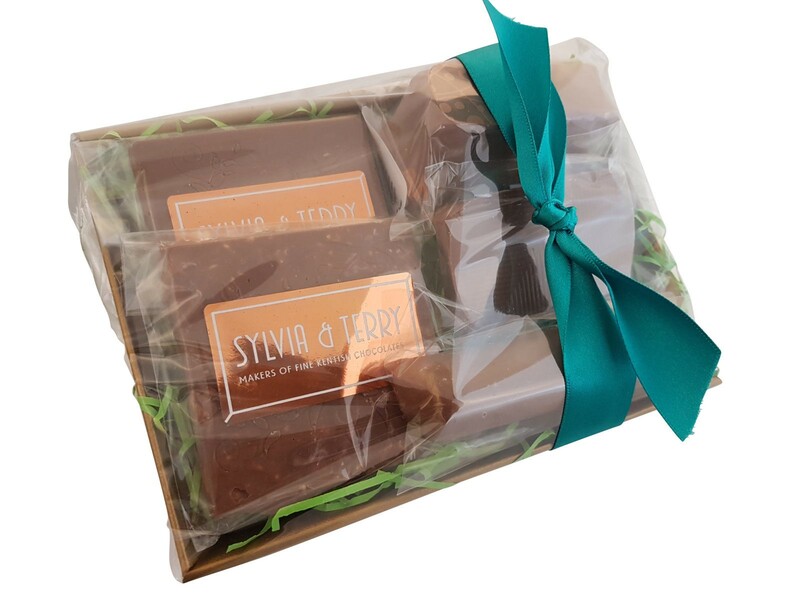 Luxury selection of Milk Chocolate treats including, Milk chocolate Tablet, Caramelised Popcorn Tablet, Triple Decker bar, Salted Caramel Bar & Milk Chocolate Honeycomb Bullion bar. 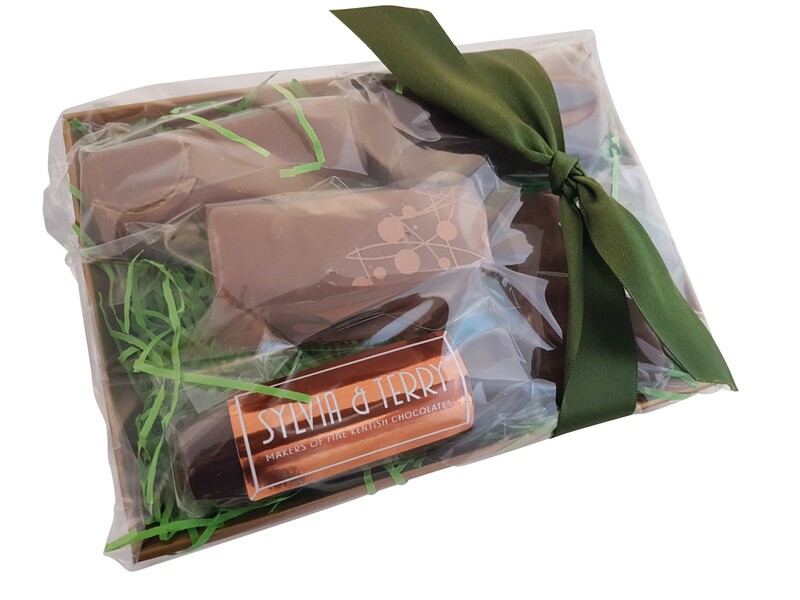 Divine selection of Dark Chocolate treats includes , 70% Dark Chocolate Tablet, Dark Chocolate & Granola Tablet, Roasted Coconut bar, Salted Caramel Bar, Dark Chocolate Honeycomb Bullion bar. Our Extra large magnetic close luxury hamper box is bursting with goodies and includes – 48 Fresh Cream Chocolates, Large Honeycomb giftbox, Large Dark Chocolate Rocher Giftbox, Large White Chocolate Rocher Giftbox, Cobnuts in White chocolate giftbox, 12 Pecan Praline chocolates giftbox, Vintage milk bottle with Kentish Cobnuts in Milk Chocolate, Milk Chocolate Tablet, Dark Chocolate Tablet, White Chocolate Tablet, Dark chocolate granola tablet, Popcorn Tablet, Spiced Cappucino Tablet, Sheep lollipop, Seashell Pop. 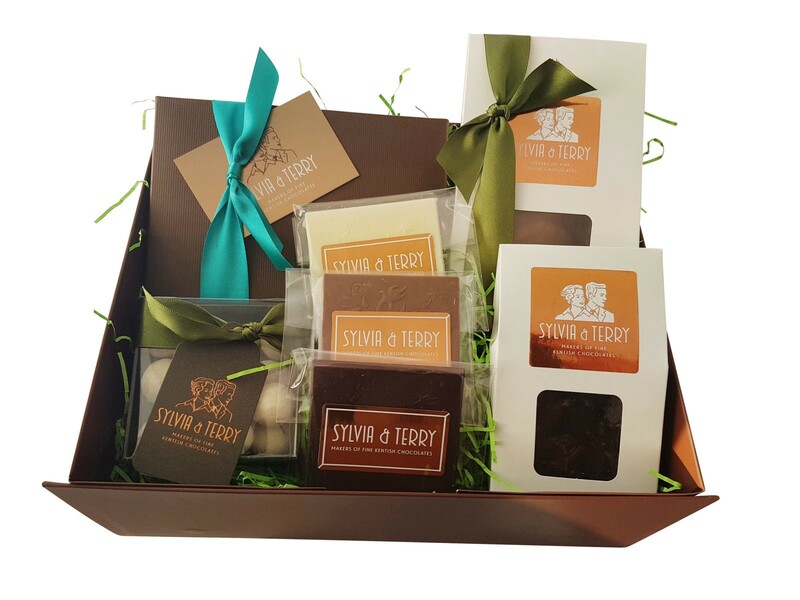 Our Medium magnetic close luxury hamper box filled with – 24 Fresh Cream Chocolates, Large Honeycomb giftbox, Cobnuts in white chocolate giftbox, Small Dark Chocolate Rocher giftbox, Milk Chocolate Tablet, White Chocolate Tablet, Dark Chocolate Tablet. 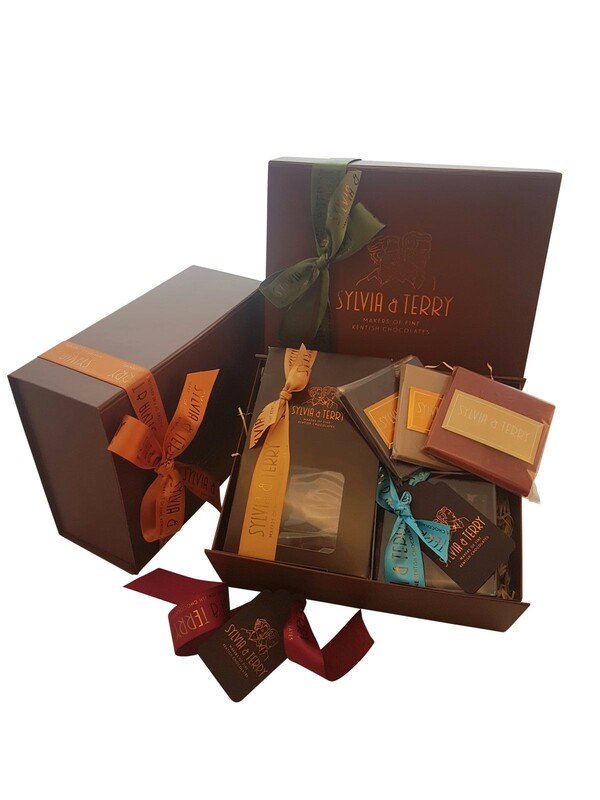 Our small magnetic close luxury box filled with – 12 Fresh Cream Chocolates, Vintage jar of Kentish Cobnuts in Milk Chocolate, Milk Chocolate tablet, Dark Chocolate Tablet. 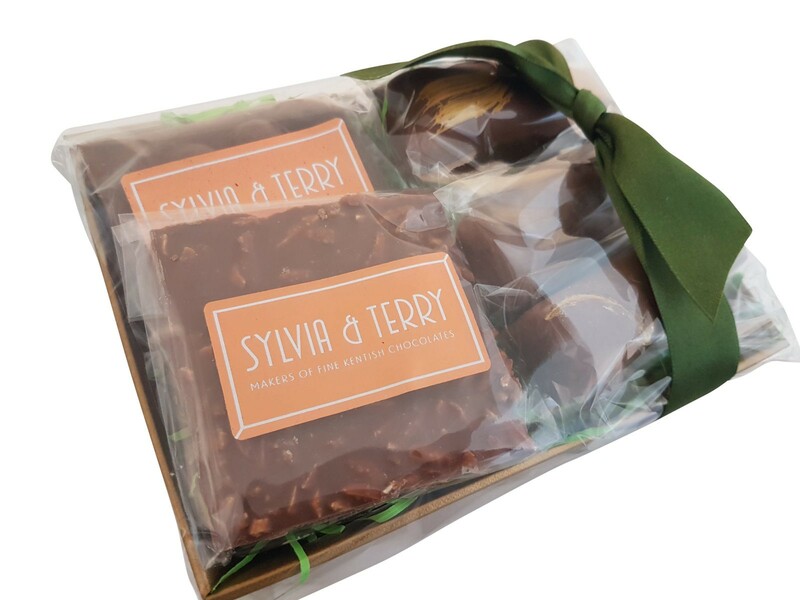 A gourmet take on a classic selection box, includes our famous Triple Decker, Cobnut Fudge Bar, Honeycomb Bullion Dark , Salted Caramel bar 7 Roasted Coconut bar.